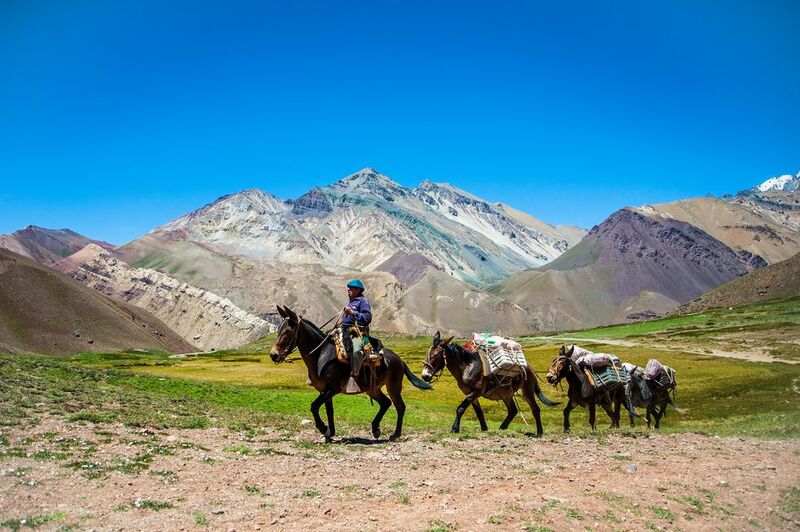 South America is an amazing continent, and while there are some wonderful beaches and coastal areas to explore, there is also plenty of mountain terrain to explore, too. This diversity is also found in the culture and the history of the continent, and once you start to think you understand the region, you will find out a new fact that adds a new perspective or facet to your understanding of the continent. While most of South America was liberated from the colonial powers of Spain and Portugal, two small areas of the continent are still administered by European countries, and in terms of per capita income are the wealthiest areas of the continent. French Guiana is located on the north coast of the continent, while off the east coast of Argentina, the Falkland Islands, known as the Malvinas by Argentinians, is a British Overseas Territory. Two of the four remaining areas of pristine tropical forest in the world are located in South America, and while most people are familiar with the Amazon rainforest, the Iwokrama Forest is located in Guyana and is one of the few remaining habitats of the Giant Anteater. Five of the top 50 largest cities in the world are located in South America, and starting with the largest, these are Sao Paulo, Lima, Bogota, Rio, and Santiago. The Amazon rainforest is considered to have the greatest biodiversity in the world, with hundreds of different animals species, around 40,000 plant species and a stunning 2.5 million different species of insects. Religion is an important part of the culture in South America, and across the continent, around 90% of people identify themselves as Christians. 82% of the continent's population consider themselves to be Roman Catholic. Chile is home to the world's driest non-polar desert, the Atacama Desert, and parts of the central desert area are known to regularly go without rain for up to four years at a time. La Paz is considered to be the world's highest administrative capital, and at 3,640 meters above sea level, it is common for visitors who travel directly to La Paz to suffer from altitude sickness. Colombia is not only the least peaceful country in South America, but it also spends the greatest proportion of its gross domestic product on its armed forces, with 3.4%of its GDP spent on the military in 2016. Spanning the border between Peru and Bolivia, Lake Titicaca is often considered to be the highest commercially navigable lake in the world, with ships carrying vehicles and passengers across the lake. The Itaipu Dam in Paraguay is the world's second-largest hydroelectric facility and supplies three-quarters of the electricity used in Paraguay and 17% of the electricity used in Brazil. Simon Bolivar is one of the greatest military and diplomatic figures in the history of the continent, having led five countries, namely Colombia, Venezuela, Ecuador, Peru, and Bolivia (as well as Panama, in Central America) to independence from the colonial powers. South America was discovered by the Italian explorer Amerigo Vespucci, and at the end of the 15th century and the start of the 16th century, he spent a long time exploring the eastern coast of the continent. Brazil is not only the largest country on the continent, but it also has the highest number of UNESCO World Heritage Sites, with 21 in total, with Peru in second place with 12 such sites.